The Chosen One. The Chosen One is the main protagonist of Kung Pow! : Enter The Fist. Backstory Edit. As a baby, The Chosen One's family was killed by Betty, a. k. a Master Pain, and two of his gang members. He manages to escape his burning house, after Betty lights it on fire, and devotes his life to stop Betty once and for all. 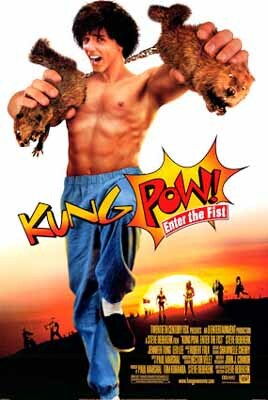 The Chosen One is the main protagonist of Kung Pow: Enter The Fist. He is played by Steve Oedekerk who also wrote and directed the film. Back Story. As a baby, The Chosen One's Family was killed by Betty, a. k. a. Master Pain, and two of his gang members. Moo Nieu is a minor antagonist in Kung Pow! Enter the Fist. He is Betty's former protector and the barnyard animals' leader, boss, and best friend.